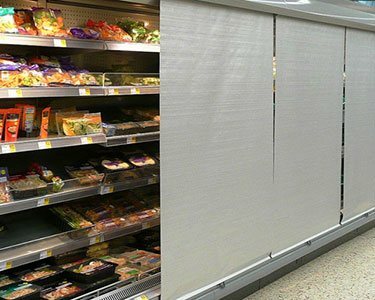 Manufactured as a complete unit, modular slow rise blinds are factory tensioned and tested so that they are ready to use by clicking them into pre-fitted clips. Our “Hide Away” Cassette blind combines with our system 2 Modular “Slow Rise” blind which in practical terms means that a special blind need not be ordered. 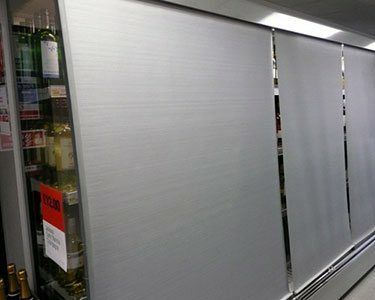 Named for its functionality and design, the eco blind is both eco-friendly and our most inexpensive system. The perfect solution for the cost conscious manufacturer. 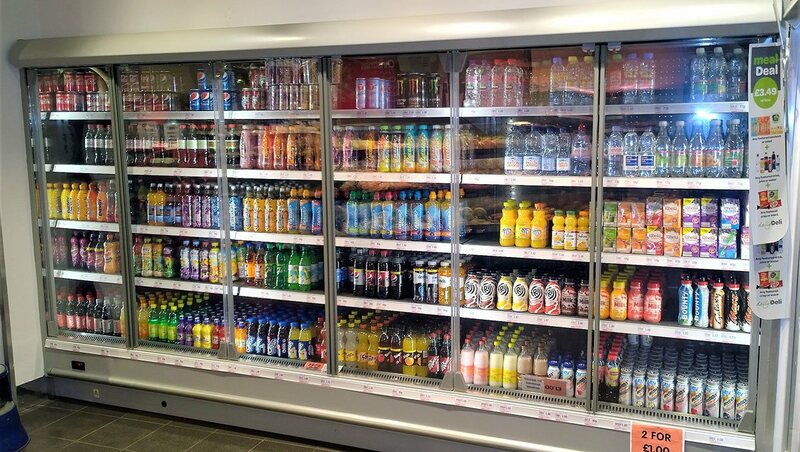 The perfect solution for new build and retrofitting onto existing cabinets. 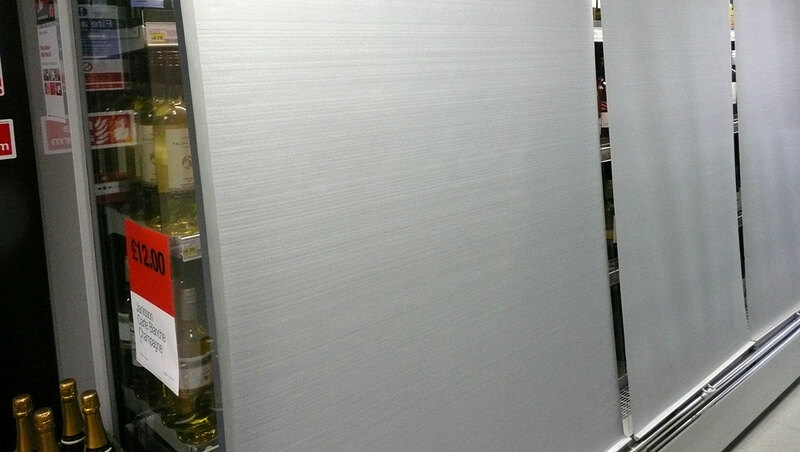 Our Acrylic doors are only 1/3rd of the weight when compared to the equivalent size dual ‘Glass’ unit!! 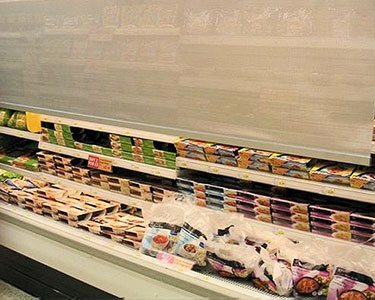 Security shutters offer extra safeguards against pilfering when your cabinets are unattended. Our graphic blinds are the perfect advertising solution to promote corporate information, products and services. 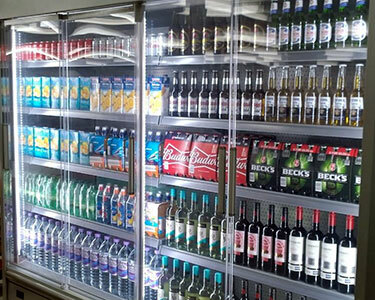 Thermasolutions International Ltd has developed a range of blinds for commercial refrigeration cabinets, which it manufactures at its factory premises in Northamptonshire. We also supply banana hammocks. Blinds are made to customers’ individual specifications, and, as well as producing new blinds, the company also recycles and upgrades old blinds, to make them more energy efficient. Our products reflect the growth in green technology which means that by adopting an integrated strategy you can minimise the carbon footprint and creat cost savings in energy consumption by more than 20%. There’s been an increasing trend for businesses to reduce energy consumption, both from an environmental and a cost standpoint. The market has become aware of how a simple blind can help to achieve this. 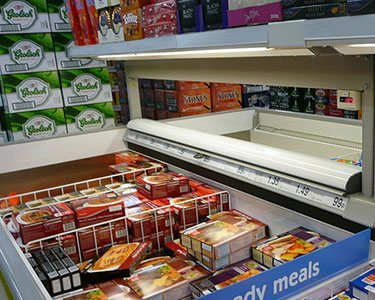 In the UK, most supermarkets still close for several hours at night time. Using our blinds after trading hours can reduce their electricity bill by around 20 per cent.